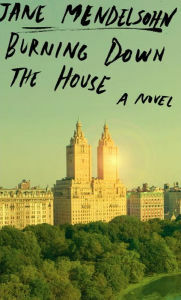 Mendelsohn tracks the slow and gruesome fall of an elite New York family caught up in the darker side of capitalism. In the end, the gushing romance ­novel entirely overwhelms the well-honed ­realism. It’s too bad, because Mendelsohn has a serious point to make ... Mendelsohn has constructed her narrative well and disposed of her characters according to their karmic deserts, but she has let her romantic sensibilities overpower her artistic judgment. Mendelsohn is an expert juggler of characters, and even with a cast list this long, she carefully balances the Zanes and near-Zanes. The interplay between them feels natural and is perhaps the strongest technical quality of the book. Regardless of what one thinks about Mendelsohn’s purple prose, her ability to foster what feels like genuine interactions between her characters keeps the Zanes—and the novel—from becoming just another Tragedy in the Ivory Tower. [Burning Down the House] is a melodramatic mess: suspenseful, even moving at times, but atrociously overwritten and overstuffed with implausible plot twists, stereotyped characters and scenes oozing sweat and tears ... Burning Down the House is not without reminders of Ms. Mendelsohn’s evocative abilities. Sadly, these elements don’t make up for the ponderous, portentous storytelling in this high-strung and histrionic novel. What did you think of Burning Down the House?